The Gulf Savannah region extends from the Great Dividing Range in the east to the Northern Territory border in the west. The Gulf Savannah region is a safari country of golden savannah grasslands abounding with wildlife. Established on the Norman River by William Landsborough, Normanton was the port for the Croydon Rush and is a terminus of the Victorian architecture preserved in the Normanton Railway Station. Some 30 kilometres to the south-west of Normanton is camp 119, Burke and Wills’ most northerly camp. The wetlands between Normanton and Karumba are also excellent for birdwatching, particularly just after the ‘wet season’. Off Road Driving Many four wheel drive off road tracks lay to the north and south of Normanton. Access to the Chillagoe-Wrotham Park road to the north is limited to four wheel drive vehicles as there are no services for 563 kilometres. There are lots of tracks along the Norman River only accessible by four wheel drive. Hire a vehicle or book a tag along tour at the Burns Philip information centre or the railway station in Normanton. Local residents are also a wealth of information regarding favourite local spots. Art and Craft making Leadlighting, pottery, raffia hats, outback mobiles made from materials in the local area as well as interesting souvenirs of all different sizes and shapes can be found at the historic railway station. Birdwatching Located between the Savannah grasslands and the wetlands birdwatching is popular, especially just after the wet season. The lakes close to town are home to many species including jabirus, cranes and herons. Experienced local guides can arrange tours and show you all the best spots. For more information contact the Burns Philip information centre or the railway station in Normanton. Bushwalking Mutton Hole, Leichhardt and Shady Lagoons are favourite spots to do some bushwalking in the local area. Experienced local guides can arrange tours and show you all the best spots. For more information contact the Burns Philip information centre or the railway station in Normanton. Camping Camping and caravan parks with comfortable amenities are located in and around town. Crabbing Mudcrabs can be netted within the Normanton River outlet and fishing tours are available. Bring you own gear or hire from outlets in town. Farm/Station activity Visit a local cattle station and learn how they operate. For more information contact the Burns Philip information centre or the railway station in Normanton. Fishing – Beach Beach fishing can be found at near by Karumba. Bring your own equipment or hire from local Normanton outlets. Fishing – Estuary Estuary fishing tours are available. Bring your own equipment or hire from local Normanton outlets. Fishing – Game Full and half day game fishing charters are available in nearby Karumba. Bring your own equipment or hire from local outlets. Sweers Island is a popular fishing area just off the coast. Reef fish abound in the local waters. Sweetlip, cod, coral trout, parrotfish, stripeys, red emperor and sea perch are some tasty examples. For more information contact the Burns Philip information centre or the railway station in Normanton. Fishing – Deep Sea Deep Sea Full and half day deep sea fishing charters are available in Karumba. Bring your own equipment or hire from local outlets. Sweers Island is a popular fishing area just off the coast. Reef fish abound in the local waters. Sweetlip, cod, coral trout, parrotfish, stripeys, red emperor and sea perch are some tasty examples. For more information contact the Burns Philip information centre or the railway station in Normanton. Flora Many varieties of flora abound the area. To find out more, why not book a tour with an experienced guide from the Burns Philip information centre or the railway station in Normanton. Fossicking This historic town dates back to the 1800s where the Croydon gold rush brought people from all over to stake their claims. Visit the railway station to get the full historic story. Just roaming around town and chatting to the locals over a chilled glass of beer or wine is a great way of finding where the local spots for fossicking are in the area. Gambling The local pubs and clubs have poker machines, Keno and tab facilities. Game Playing The local sports stadium conducts a variety of community and team sports for your pleasure. Gold prospecting This historic town dates back to the 1800s where the Croydon gold rush brought people from all over to stake their claims. Visit the railway station to get the full historic story. Just roaming around town and chatting to the locals over a chilled glass of beer or wine is a great way of finding where the local spots for fossicking are in the area. Golfing Enjoy a game of golf and relax in the club after over lunch, dinner and refreshments. Sailing Sailing charters are popular and available from near by Karumba outlets. There are two boat ramps on the Norman River and beach area for launching of boats if you have your own. For more information contact the Burns Philip information centre or the railway station in Normanton. Scenic Flight Scenic air and helicopter flights can be chartered from the airport in Normanton. Sightseeing Normanton lies between the wetlands and savannah grasslands, and is home to many species of birds and native animals. Fishing is very popular especially at the old bridge. Attend the big Barra Classic at Easter. You can take a river cruise and do some croc spotting or meet Krys a life size model of a famous 8.6 metre croc. Take an historic pub crawl tour of the town. Visit the railway station and book a Gulflander rail tour to Croydon and have billy tea and damper. Stop at the Burke and Wills roadhouse on the Matilda Highway. For more information contact the Burns Philip information centre or the railway station in Normanton. Sports Participate The local sports stadium conducts a variety of community and team sports for your pleasure. Swimming Swimming is a popular activity all year round. Accommodation venues have swimming pools on site. Tennis Tennis courts are available seven days a week in Normanton. Train Ride Gulflander rail tours run once a week to Croydon on Wednesdays and return to Normanton on the Thursday. Bush Tucker Experienced Savannah guides run tours in the local area. For more information contact the Burns Philip information centre or the railway station in Normanton. Animal Viewing Normanton lies between the wetlands and savannah grasslands, and home to many species of birds and native animals. Local and experienced guides conduct tours in the local area. For more information contact the Burns Philip information centre or the railway station in Normanton. Walking Take a walk and meander at a leisurely pace around town or book a tour with an experienced guides in the local area. For more information contact the Burns Philip information centre or the railway station in Normanton. Accommodation Comfortable and affordable motel, pub, tourist caravan parks and camping areas are readily available in and around Normanton. Airport Flights to Cairns and surrounding Savannah districts are available. A fully service airstrip for light aircraft is located in Normanton. The Flying Doctor service operates in the region as well. The nearest domestic and International airport is Cairns. Ambulance The QLD ambulance service is located in Normanton. The Flying Doctor service also operates in the region. For emergencies call 000. Banking Facilities Limited banking facilities are available in Normanton. Eftpos and Credit Card facilities are available from most business outlets. Bottled Gas Bottled gas is available from various outlets in Normanton. Chemist There are pharmaceutical services available in Normanton. Licensed Club The Bowls and Golf clubs are licensed. Relax in the club over lunch, dinner and refreshments. Coach Stop Coach services connect to Mt Isa, Darwin and Cairns regularly through the week but bookings are essential. Freight of vehicles is also available. Normanton has a taxi service to transport you around the area if required. Dentist Dental services are available at the medical clinic in Normanton. The clinic is open 7 mornings per week. Electronic Funds Transfer at Point Of Sale Eftpos is usually available from most business outlets in Normanton. Fuel There is a service station in Normanton. Golf Enjoy a game of golf and relax in the club after over lunch, dinner and refreshments. Hospital The hospital is located in Beames Street. A health clinic also operates in Normanton 7 mornings per week. For emergencies call 000. Public Bar The local pubs serve lunch and dinner with evening entertainment available. Chat to the locals over a chilled glass of beer or wine and learn all about the local environment and view lots of historic memorabilia. Mechanical Services Mechanical services are available in Normanton. An RACQ agent is located in Karumba. Medical Facilities A health clinic also operates in Normanton 7 mornings per week. The hospital is located in Beames Street. For emergencies call 000. National Park The nearest national parks are Lawn Hill to the west and Staatan River to the north-east. For more information contact the Burns Philip information centre or the railway station in Normanton. Newsagent Newsagency supplies can be purchased at a number of outlets including the supermarket and service station. Police The police station is located in the Normanton. The volunteer Fire Brigade and Marine Rescue are located in Karumba. For emergencies call ‘000’. Post Office For all your postal needs and souvenirs, Australia Post has an office in Normanton. Public Telephone Public phones are located at Corner of Fielding and Karumba point Roads in Karumba. Public toilets are also located in the Allen Howie Way and on Walker Street. Rail Terminal Gulflander rail tours run once a week to Croydon on Wednesdays and return to Normanton on the Thursday. Connecting coach services to Forsayth can link you to the next rail service that will take you all the way to Cairns. Restaurant Normanton has some wonderful cafes and pubs with restaurants that offer sumptuous lunch and evening meals and refreshments. Sporting Facilities The local multipurpose sports stadium runs a variety of community and team sports for your pleasure. Supermarket Small supermarket and grocery outlets are located in Normanton. Swimming Pool Contact the Normanton Caravan park as they have a swimming pool on site. Takeaway Food Takeaway food outlets are located in Normanton. Tennis Court Tennis courts are available 7 days per week. Contact the local sports centre for more information. Visitor Centres For information about tours, history and the local environment and area contact the Burns Philip information centre or the railway station in Normanton. Aboriginal and Torres Strait Islander The Torres Strait Festival held annually on Thursday Island and the Laura Dance and Cultural Festival held biannually in June represent 25 Aboriginal communities from all over Cape York. The Croc Festival held annually between July and Sept celebrates youth cultures involving performing arts, sports career and health expos. Students from rural and remote Australia travel thousands of kilometres to participate. Local experienced guides can also arrange for tours to learn about the region from an aboriginal cultural perspective. Adventure Experienced Savannah guides run tours in the local area. For more information contact the Burns Philip information centre or the railway station in Normanton. Beach Beach areas line the Norman River where Karumba is located. There are beaches located south of the mouth of the Norman River in the Gulf of Carpentaria. Caravan and Camping Camping and caravan parks with comfortable amenities are located in and around town. Savannah bush tours are available. For more information contact the Airport kiosk in Karumba. Cruise Cruises on the Normanton River with experienced guides are available in the local area. For more information contact the Burns Philip information centre or the railway station in Normanton. Eco Tourism Because Normanton is located in a nature based region Eco Tourism is widely practiced to ensure the environment is protected. Fishing Fishing is one of the major pastimes in Normanton. Bring your own equipment or hire from local outlets. Fishing tours and charters are also available for river and estuary fishing in the local area. Beach, Big Game and Deep Sea fishing tours and charters can be experienced from near by Karumba. Normanton hosts the Barra Classic for the champion of all sportsfishing during Easter each year and Burketown follows up with the World Barramundi Championships. For more information contact the Burns Philip information centre or the railway station in Normanton. Flora and Fauna Normanton lies between the wetlands and savannah grasslands, and is home to many species of birds and native animals. The Normanton River, Shady and Leichhardt Lagoons are favourite spots where native wildlife may be seen. To find out more, contact the National Parks and Wildlife service, Burns Philip information centre or the railway station in Normanton and book a tour with an experienced guide. Gambling The golf club, the Recreational club and the local taverns all have gaming facilities. Golf The local golf club serves lunch, dinner and refreshments. Health and Fitness The local multipurpose sports stadium conducts a variety of community and team sports for your pleasure. Historic/Heritage For information of the history of Karumba contact the information centre at the Airport. Industry/Mining, Agriculture Barramundi, Prawning, cattle and mining are the main economies in this area. Tourism is also a growing industry. Karumba is the only sea-port accessible by sealed roads. As such for the region freights cargo from the surrounding area to other ports by barge and ship. Nature based Normanton is located in a nature based region lies between the wetlands and savannah grasslands and is home to many species of birds and native animals. Eco Tourism is widely practiced to ensure the environment is protected. Off road Off road 4WD tracks lay to the north and south of Normanton. Access to the Chillagoe-Wrotham Park road to the north is limited to 4WD vehicles as there are no services for 563 kms. There are lots of tracks along the Norman River only accessible by 4WD. Hire a vehicle or book a tag along tour at the Burns Philip information centre or the railway station in Normanton. Local residents are also a wealth of information regarding favourite local spots. Outback Normanton is in the middle of the Australian outback. The nearest town is Karumba. 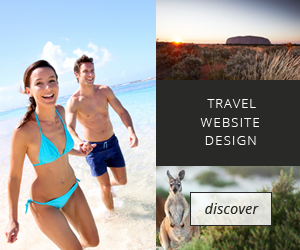 Travelling north, south, east or west will take you into other vast outback areas of Australia. It lies between the wetlands and savannah grasslands, and is home to many species of migratory birds and native animals. Normanton is the major business centre in the Gulf with plenty of services, comfortable accommodation and restaurants available. Be welcomed and have your photo taken next to Krys a life size model of a famous 8.6 metre crocodile and the Big Barramundi. You will probably need to have a beer to relax afterwards at the famous Purple Pub. There are excellent fishing guides, charter boats, and heli fishing operators working almost year round. Rail The Gulflander rail tour service operates between Normanton and Croydon. Travelling to Croydon on Wednesdays the train returns to Normanton the next day. Coach services can link you to Forsayth where the Savannahlander rail service will take you onto Cairns. Visit towns such as Critters Camp, Crosswater and Blackbull where stops will be made and light meals and refreshments are served. Learn all about the history of the Gold rush days of the 1800s and how rail has developed and continues to make important contributions to the outback today. Remote Normanton is in the middle of the Australian outback and may seem quite remote. The nearest town is Karumba 79 kms north. Travelling north, south, east or west will take you some time before reaching other outback towns by road as they are often hundreds of kilometres away. It lies between the wetlands and savannah grasslands, and is home to many species of migratory birds and native animals. Although a remote location Normanton is also the major business centre in the Gulf with plenty of services, comfortable accommodation and restaurants available. Coach, air and barge services also help keep Normanton connected to the rest of the world. Sport A multipurpose sports stadium offers a variety of community and team sports for your pleasure. Annually Normanton hosts the Barra Classic for the champion of all sportsfishing and Burketown follows up with the World Barramundi Championships. Wilderness Normanton is in the middle of the Australian outback wilderness and may is quite remote. The nearest town is Karumba 79 kms north. Travelling north, south, east or west will take you some time before reaching other outback towns by road as they are often hundreds of kilometres away. It lies between the wetlands and savannah grasslands, and is home to many species of migratory birds and native animals. World Heritage Normanton is part the Gulf of Carpentaria which became World Heritage Listed in 1995. The vast Gulf area of 900,000 hectares, covers Savannah and wetland areas to coastal environments with a wide variety of rare flora and fauna. To find out more, chat to the locals, contact the National Parks and Wildlife service, Burns Philip information centre or the railway station in Normanton and book a tour with an experienced guide.